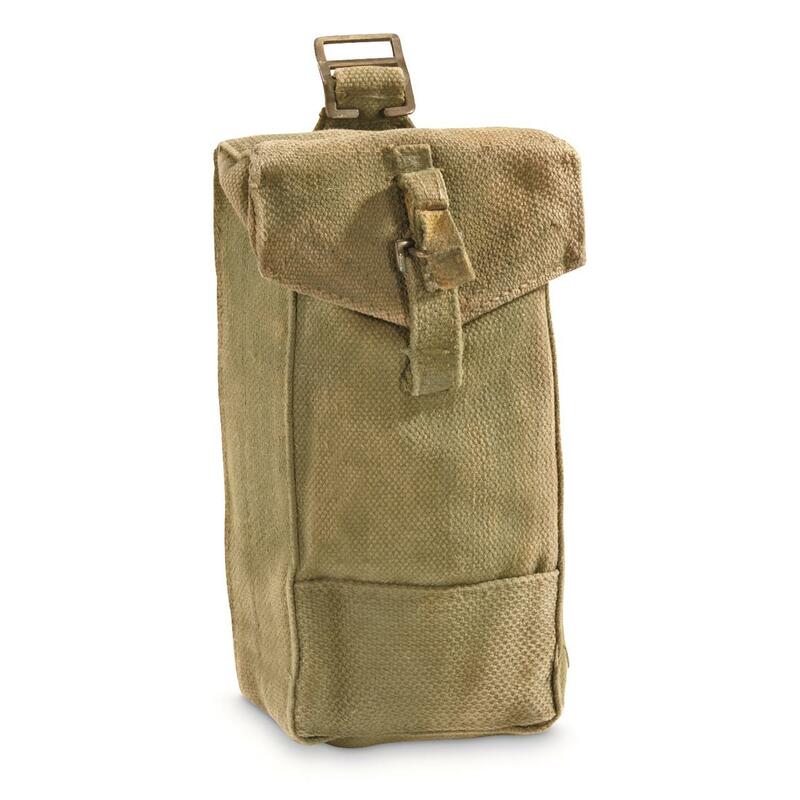 Great for carrying ammo or hunting gear. 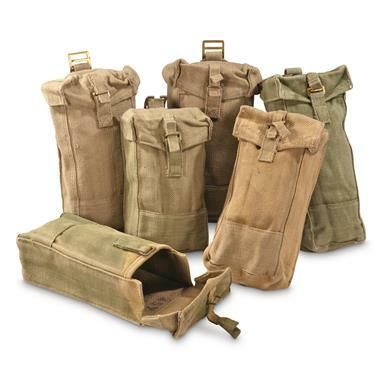 Ammo and supplies to go. Versatile Military Surplus Ammo Pouches are made from 100% cotton canvas and will attach to your GI-style belt or harness system. 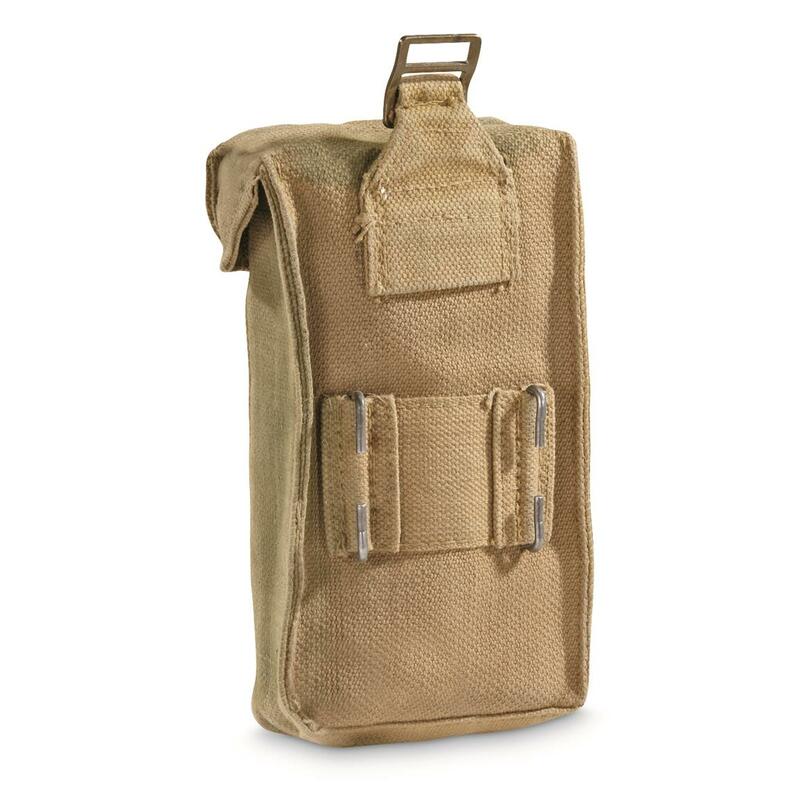 Includes 6 Ammo Pouches for 1 low price — enough to always have extras on hand or give 'em as gifts to your shooting buddies. Dimensions: 9"h. x 4"w. x 2.5"d.